Our favorite time of year is almost here... the tapping of Oktoberfest! 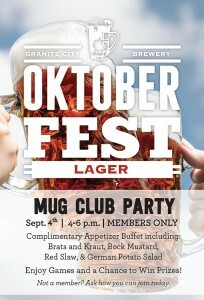 Mug Club/Brew Rewards join us on September 4th 4-6pm at your favorite Granite City location to celebrate. 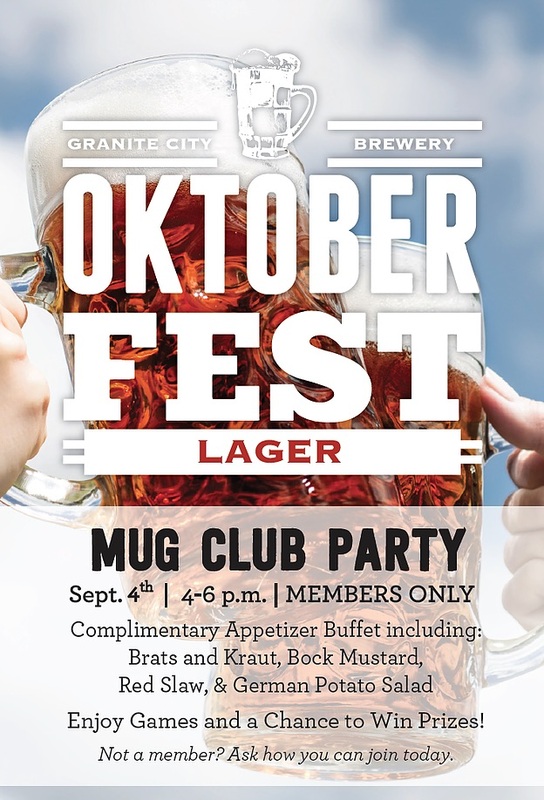 Sample Oktoberfest while enjoying a complimentary appetizer buffet that includes: Brats and Kraut, Bock Mustard, Red Slaw, & German Potato Salad. Enjoy games and a chance to win prizes. Not a member? Ask ho you can join today!